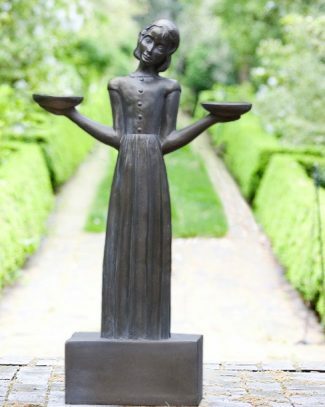 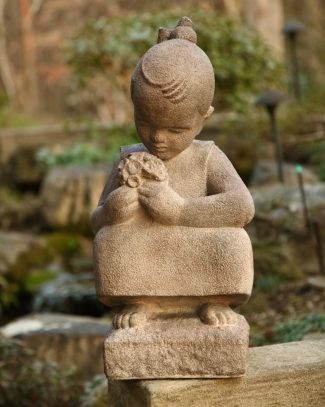 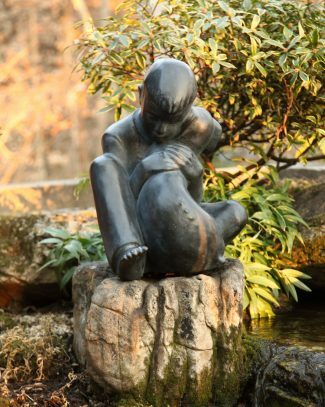 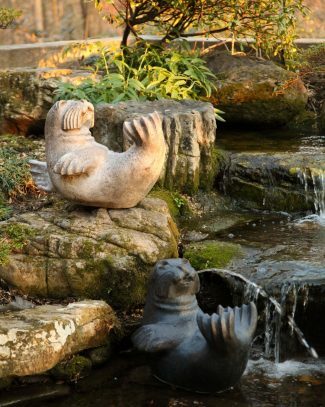 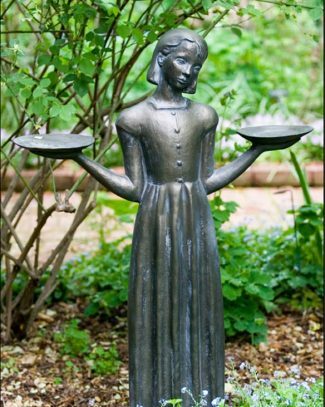 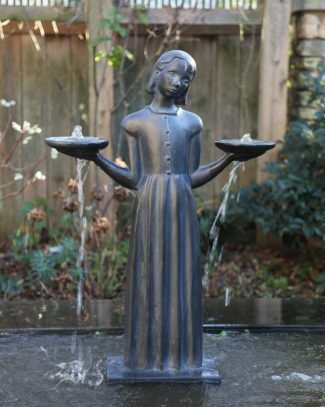 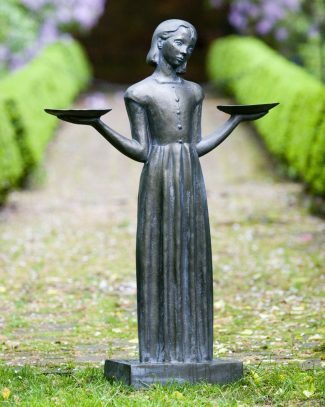 For gardens without existing ponds, basins can be purchased to display the Bird Girl fountain at the www.birdgirlfountain.com website (sold & shipped separately from Bird Girl Fountain from Potina). 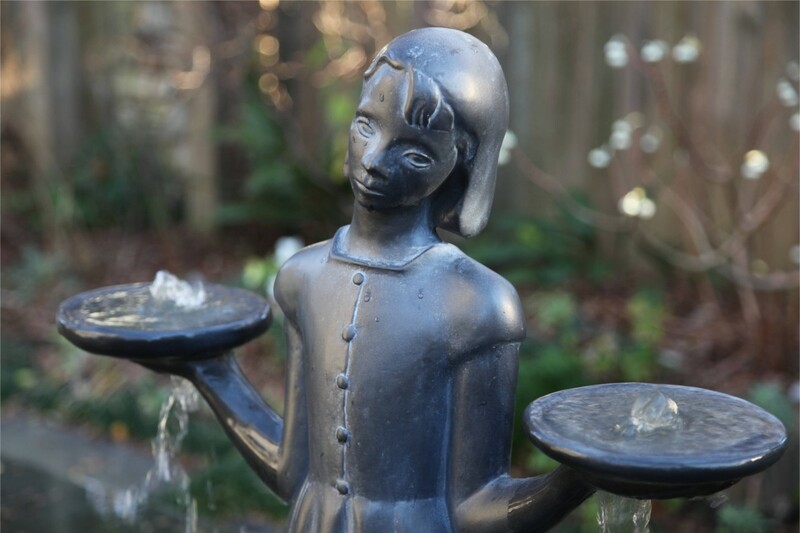 This is a great long-time customer of Potina’s that is very experienced with selling and installing fountains of all types. 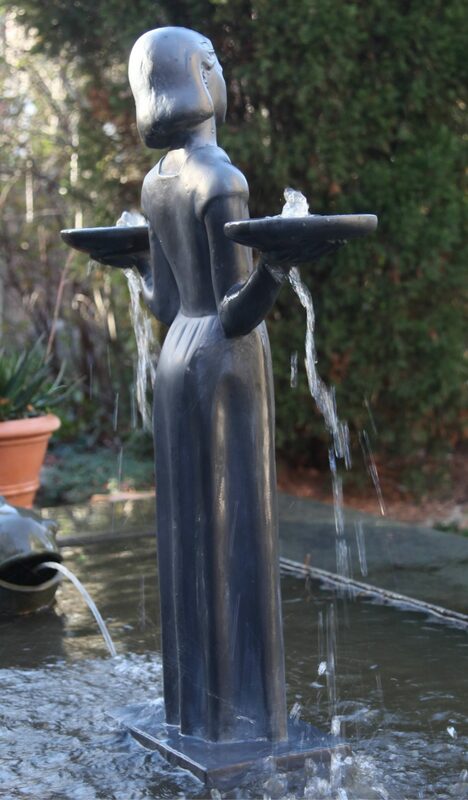 These basins, made in USA of durable black hard plastic, these square basins are buried in the ground to create a “disappearing fountain” appearance with recycling water. 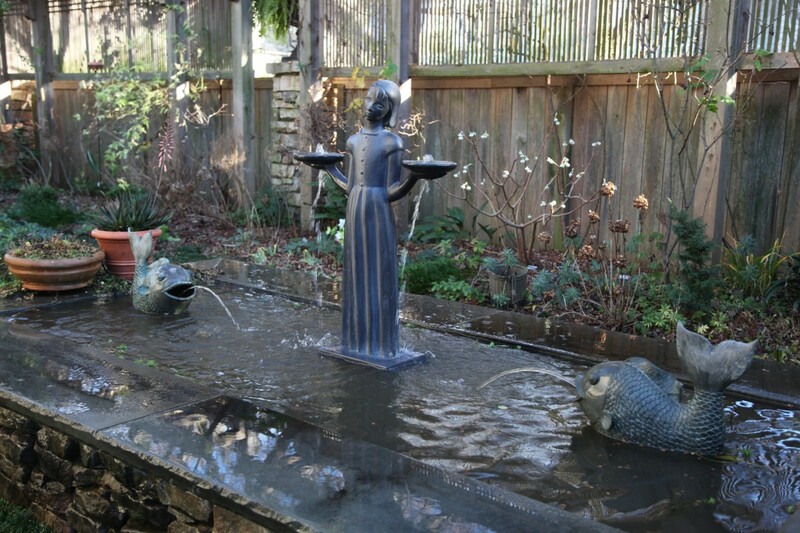 For a strong gurgling flow of water, use the larger (4’x4‘) pump size. 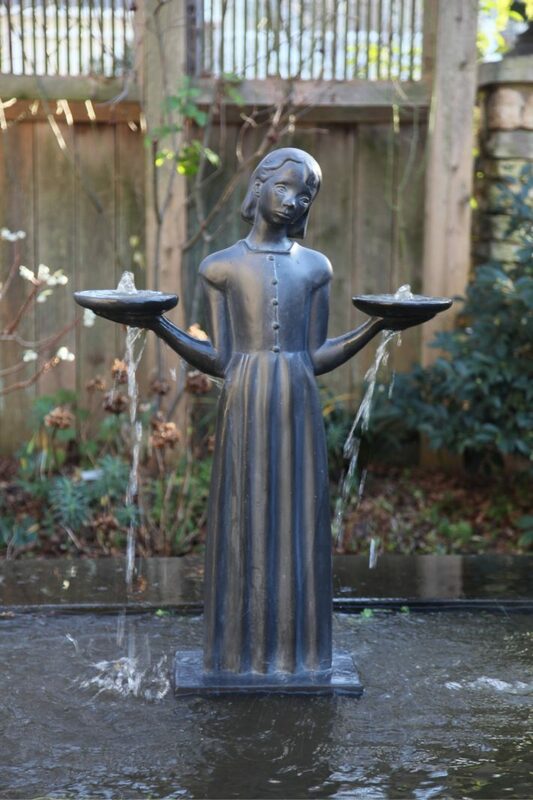 For a gentler and quieter water trickle, the smaller (3’x3’) pump is fine. 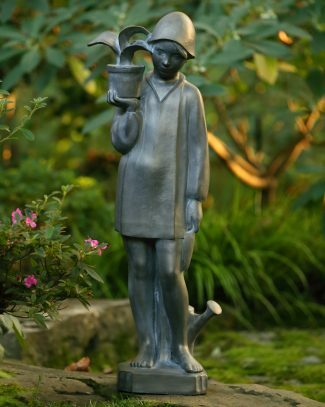 A grate fits on top to support the statue. 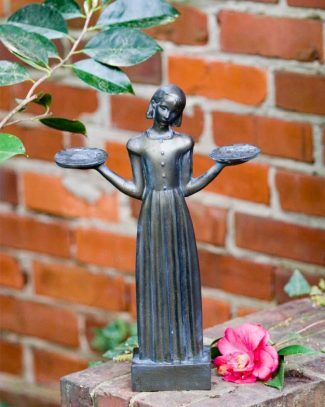 Included is a plastic screen that fits on top of the grate to hold decorative stones (not included).